Bekal Fort stands at the confluence of land and sea. Located in the district of Kasaragod, the northernmost district of Kerala, it is an impressive edifice spread over 40 acres. The senior-most male member of the family, the ruling king, was referred to as Kolathiri or Kolathiri Raja. The first person in the line of succession was known as Thekkelamkur. His residence was the fort in Vadakara. The next in the line of succession was referred to as Vadakkelamkur. He was in charge of a fort called Vekkolath Fort. Bekal Fort, according to Menon, is probably a corruption of Vekkolath (Bekkolath) Fort. Many believe that Bekal Fort was built by Shivappa Nayaka of Bednoor, the ruler of a Karnataka kingdom. However, some believe that the forts Bekal and Chandragiri (another fort near Kasaragod) belonged to the Chirakkal Rajas and Shivappa Nayaka rebuilt them in 1650s or 1660s after he conquered the area. This is the opinion expressed by historian H. A. Stuart in his work ‘Handbook of South Canara’, published in 1985. The Ramakshatriyas who are nowadays found in and around Kasaragod are believed to have been brought by the Nayakas to guard the fort. They are locally known as Koteyar, probably a corruption of the word koteyavaru meaning ‘people belonging to the fort’. The Kolathiri Rajas and Nayakas continued to fight for the possession of Bekal Fort. But later Hyder Ali came to power in Mysore (Karnataka area). He conquered large areas that included the Bekal Fort also. Bekal Fort was very important for Tipu Sultan, the son of Hyder Ali, as a base for his military operations in Malabar. There is plenty of archaeological evidence that support the presence of the Mysore Sultans at the Bekal Fort. However, Tipu was killed in the Fourth Anglo-Mysore War in 1799 and thereby Bekal Fort came into the possession of the East India Company. Bekal Fort played a significant role in the military ventures and administrative functions of the British Raj also. When district boundaries were redrawn, the town of Bekal became the headquarters of the Bekal Taluk in the district of South Canara in the administrative subdivision called Bombay Presidency. Later it became Kasaragod Taluk when South Canara joined Madras Presidency in 1862. Over the years Bekal’s value as a port city diminished. Later, when the Government of India reorganized states in 1956, Kasaragod district became a part of the new state of Kerala. 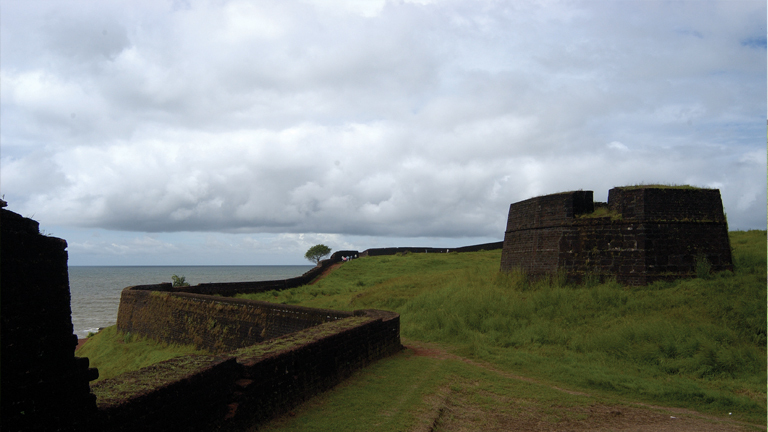 Bekal Fort is today an important tourist attraction. The Bekal Tourism Development Corporation is now striving to make the place an international tourist center. Meanwhile, Bekal’s golden sands, emerald backwaters, and beautiful hills have made it a perennial favorite of filmmakers.